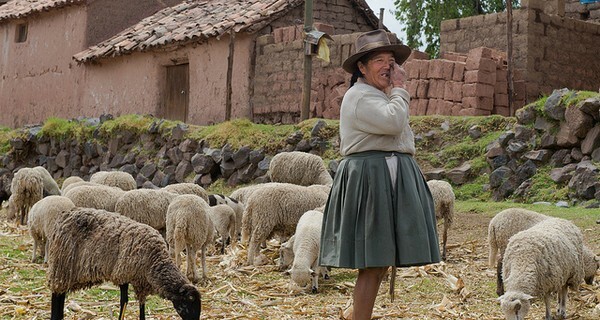 Cirila Quillahuamán lives in Peru’s Andean highlands and sells knitwear for a living. Until recently, she would spend a day travelling to the nearby town to buy more wool, which she would pay for with cash stored in a pile of maize. The trip would cost her a day’s work. Cirila was one of more than a third of 30 million Peruvians who don’t have bank accounts, primarily because of their remote location and prohibitive bank account fees. Lack of access to financial services means that a large number of people are vulnerable to theft, or unable to receive medical care, when they don’t have money on them. However, there is more than one cell phone per person in Peru, with many people carrying at least two phones to access different networks. That’s why Peru Digital Payments – a company owned by the country’s leading financial institutions – launched Bim, first-of-its-kind mobile payment software that includes all the country’s banks and major phone network carriers. Since only a quarter of the population in Peru own smartphones, Bim works with all phones, featuring a simple menu with numbered options such as buying voice minutes or making a transfer. The software sends data securely over SMS texts, and there is no need to open a bank account to send or receive payments. Cirila is one of 170 people who took part in Bim’s pilot project. For the first time, she can pay for her wool through her phone so it can be delivered to her, saving her both time and money.